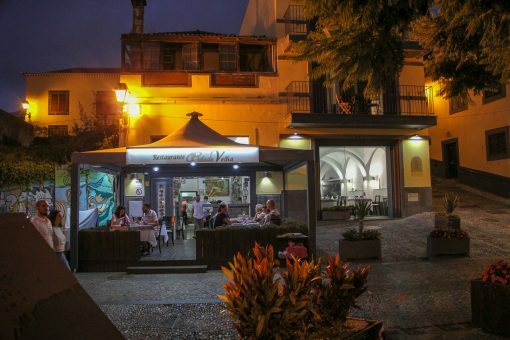 Restaurante Cidade Velha is located in the noble zone of the Old Town ("Zona Velha") of the City of Funchal, Madeira - Portugal, more specifically near the Museum of Contemporary Art and Fort Santiago ("Forte de São Tiago"). The restaurant is the ideal start and end station for your visit into the picturesque Old Town. The restaurant's specialities are Cod fish with the corn bread crust, Old City Steak, Chateaubriand, stuffed Piglet, Swordfish Madeira style, fresh fish, among others. You can enjoy your meal inside the warm decorated ambiance, out on the covered deck or the large square in the open air where you have a beautiful sea view and can watch the cruise ships passing by. Your visit, will be a pleasure for us.